National Young Audiences Arts for Learning Week 2018 (YA Week) was celebrated across the YA Network from March 25 – April 7. YA’s affiliate organizations across the country observed YA Week with a variety of special events, open classrooms, and other initiatives, to raise awareness of YA and arts-in-education. In one of YA Week’s highlights, Young Audiences of Oregon & SW Washington pushed musical boundaries with a collaborative performance featuring the talents of the Camas High School choir, under the direction of Ethan Chessin, and indie-rock musician, composer, and arranger Kelly Pratt with his band, Bright Moments. 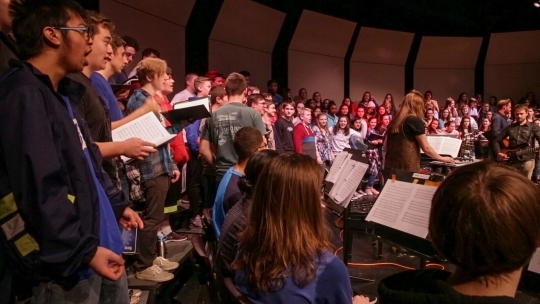 The collaboration builds on the success of a composer-in-residence partnership that Young Audiences of Oregon & SW Washington fostered two years ago with the Camas High School choir and experimental art-pop band, AU. This year’s program took the form of an original hour-long performance that was put together by Pratt, whose credits include work with David Byrne, Coldplay, Beirut, and Arcade Fire among others, in collaboration with the choir of over 200 students. Preparations and rehearsals took place over the past several months.  Young Audiences of Oregon & SW Washington project-managed and provided support with fundraising, curriculum design, and event production. The collaborative project explores the idea of human progress. “It is a unique challenge and pleasure to have the task of writing an album-length piece of music for an incredibly gifted group of 200+ singers,” said Pratt. “As a result of the sheer number of people involved, I felt I had no other option than to be quite ambitious both thematically and stylistically.” Thematically, the work touches on social and technological advancements, the threat of sweeping global catastrophe, and a call for action and change to make the world a better place. The work includes variations in genre from song to song. This is something that Pratt has been interested in for much of his professional career. The entire song cycle was composed by Pratt specifically for the Camas High School Choir playing with Bright Moments. The song cycle consists of 10 songs scored for rock band, horns, and 200 high school singers. Students from Camas High School made up the horn section. Professional musicians were also participants in the performance: Dana Buoy on drums, Lorna Dune on keyboards, and Justin Miller on guitar and bass. Simultaneous video projections created by the students in collaboration with Portland-based film director Alicia J. Rose made the project a multi-media experience. The 2018 collaborative project premiered at Camas High School during YA Week on March 27, 2018. We are thrilled that Young Audiences of Oregon and SW Washington celebrated YA Week in such an exciting and creative way! For more on Young Audiences of Oregon & SW Washington, click here.